Plastic? : No we like to refer to our Joist Hangers as being made from “Fibre Reinforced Engineering Polymer (FREP)” – These polymers are used in engineering and automotive applications throughout the world due to their extreme strength and resilience under load. It is not your everyday plastic and will last the life of your deck. 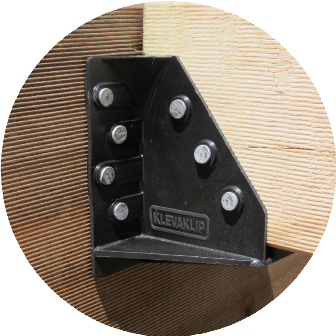 Did you know that conventional, galvanised joist hangers are actually not recommended for use in any outdoor exposed environment? Really – it’s in the fineprint! Finally there is a reasonably priced, corrosion-proof joist hanger on the market.